When one thinks of whiskey, it's not hard to think of the Jack Daniels name. And now, they're creating a new reason to be remembered with an awesome new experience in Brooklyn called Motel No. 7. Not only did the brand become the top trending local hashtag on Twitter, but they incorporated many aspects of that cool Brooklyn style to make the experience and the brand more relevant to their audience. The motel was decked out with pretty much everything you would think you’d encounter in a motel setting, from uniformed bellhops and janitors hiding out in supply closets to a Motel Chapel and a Royal Suite. 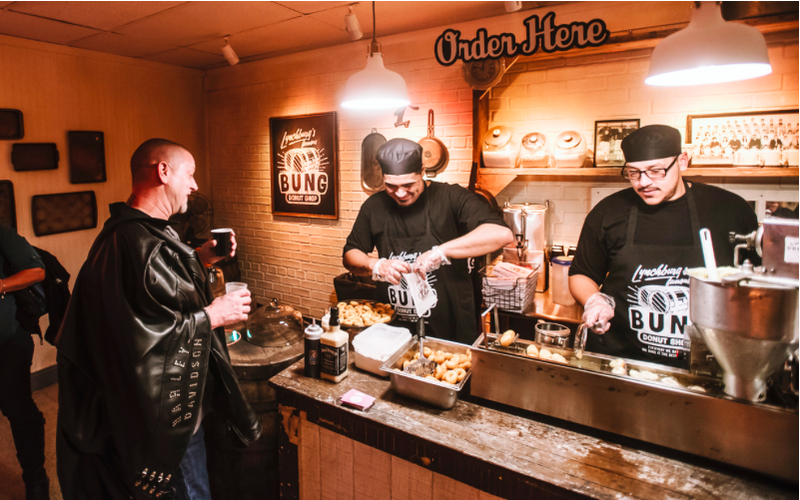 Attendees of the motel also had the chance to enjoy Jack Daniel’s infused donuts and could wash it down with a hot toddy on the side, all while hearing from the master distiller at the Rabbit Saloon. And like any well-executed experience, it included it’s own locked wi-fi system for attendees only, which encouraged sharing by all motel goers in order to promote it out to their social circles!